I just don’t do early mornings well. 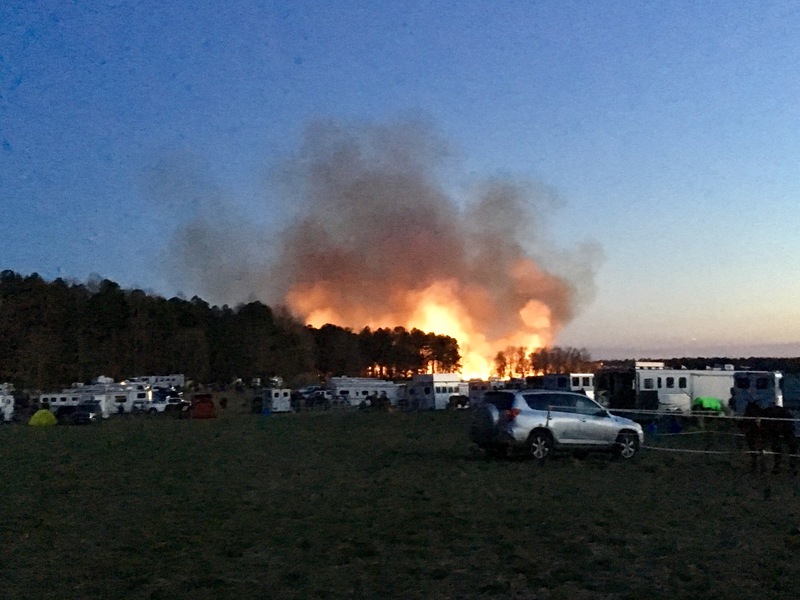 Especially dark ride mornings that are 24 degrees after half freezing in the trailer even with a heater and having to get up to switch it on or off or change propane tanks. Tacked up by 6:30am… that’s the goal. Ride start at 7. I’m usually sending someone to check in for me and barely at the start in time and half the time have forgotten something important but not vital by the time trails open. 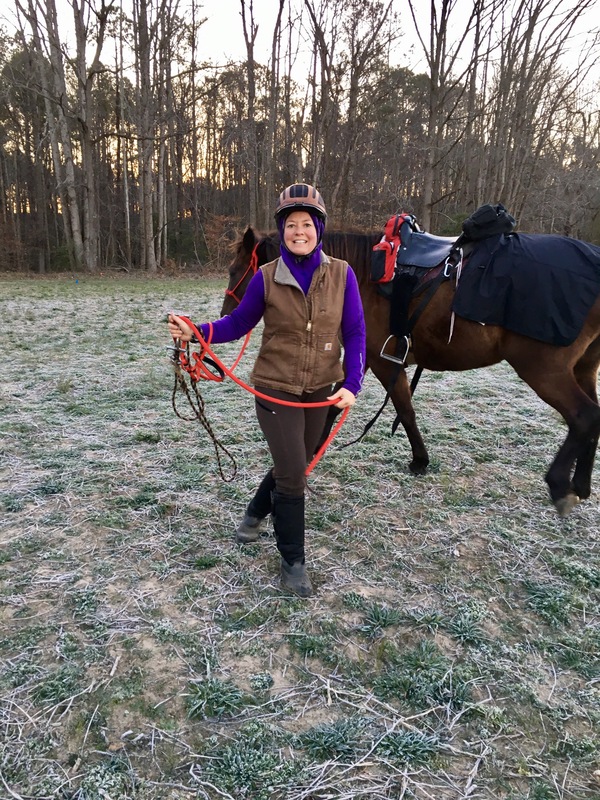 Sunday I had Iva… she does do mornings, and she does cold weather. She was perfect! 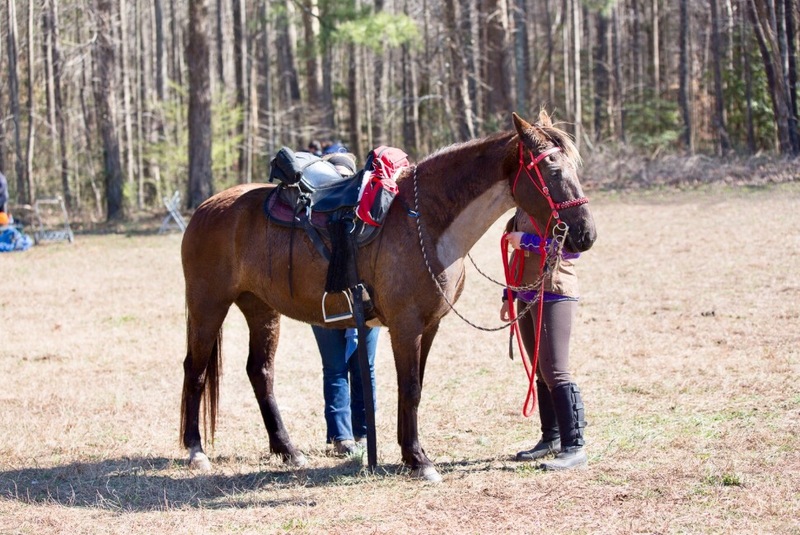 I was tacked up by about 6:40 and we hand walked together to check in, start warming up the beast and last potty stop for me before mounting up. It was cold for a ride start for us and at the ride meeting our head vet warned that we should take getting some good warm up time in very seriously. Loose horse!! 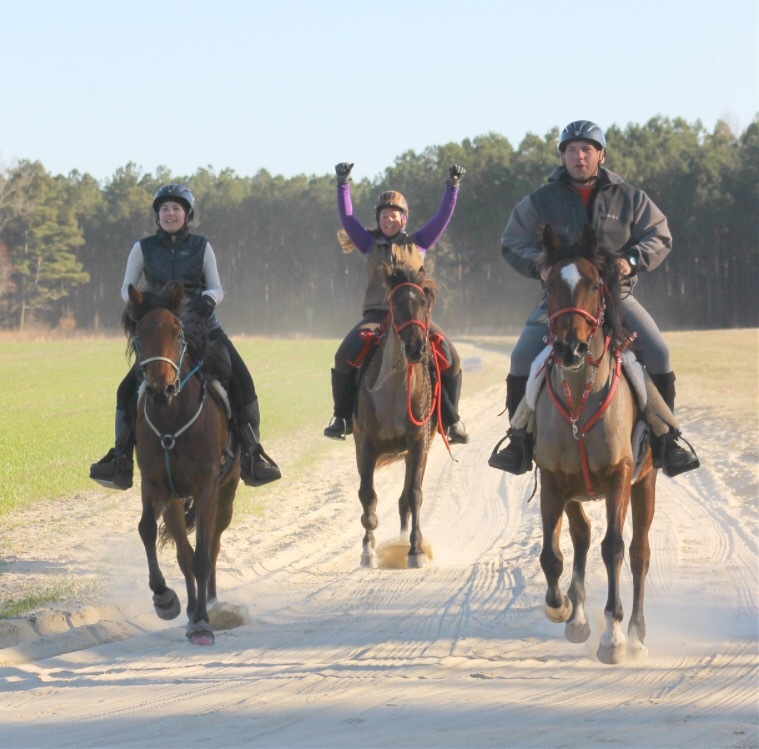 Loose horses… watch out! I switch gears as a small herd come thundering through and I turn back to grab Khaleesi back in case she forgets about Iva in the mele and poor thing who weighs about as much as a potato chip gets dragged or trampled! K was affected by the stampede but not hard to regain control… loose horses collected and potty stop successful. In the saddle at least 12 minutes to spare, nothing forgotten and doing some warm up walking around much before our usual. Maybe Iva is my good luck charm, or I’m getting better at this? 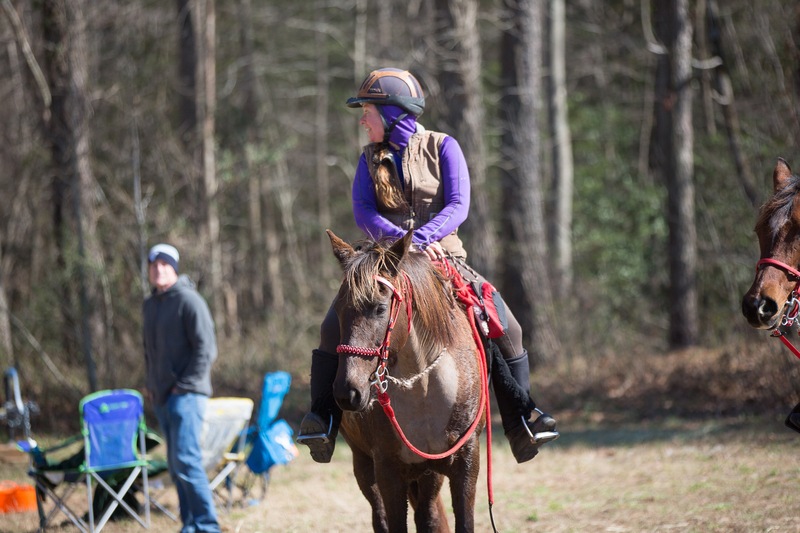 Cold air and lots of adrenaline made for a mare paying minimal attention to me as we choose a route to walk and warm up. 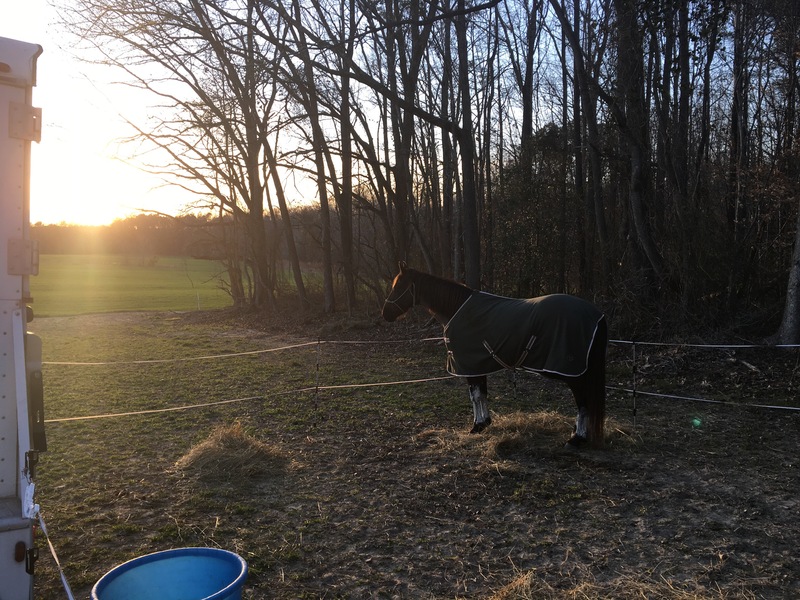 Already we had a few words over which way the horse herd was moving and which way I wanted to go… mixed in with her desire to eat up whatever was growing in the adjoining field. The front of the herd began pouring out of camp in front of us. Usually I’m a little bit away from the front of the start – now all the excitement was right in front of us. So we made a circle around at least and then joined the party. Used to be she was nonplussed by the horses and their big hurry. People talked about their race brain horses and I would say oh, thankfully I don’t need to worry about that… if anything my girl is a little on the lazy side. She was ready to go. It was the first time she was that strong headed and running through my hands. Part of me would have loved to just let her run. I wasn’t afraid of her or the speed in the group- but the responsible half won out. We have a perfect record of completing at this point. That cannot last forever. Things happen. If you’re going to ride, you’re going to get pulled at some point. Considering you were 3-legged lame less than two weeks ago, it’s very cold (muscles and tendons) AND have never ridden in sand (muscles and tendons!) AND can’t ride at high speeds on your normal training grounds (no idea how that will affect her) you’d better take this conservatively and err on the side of caution. So I pulled out occasionally and circled her… did a couple figure 8s and worked on getting her brain under control again. Blackwater Swamp Monster needs to use her powers for good today! We have a long road ahead. 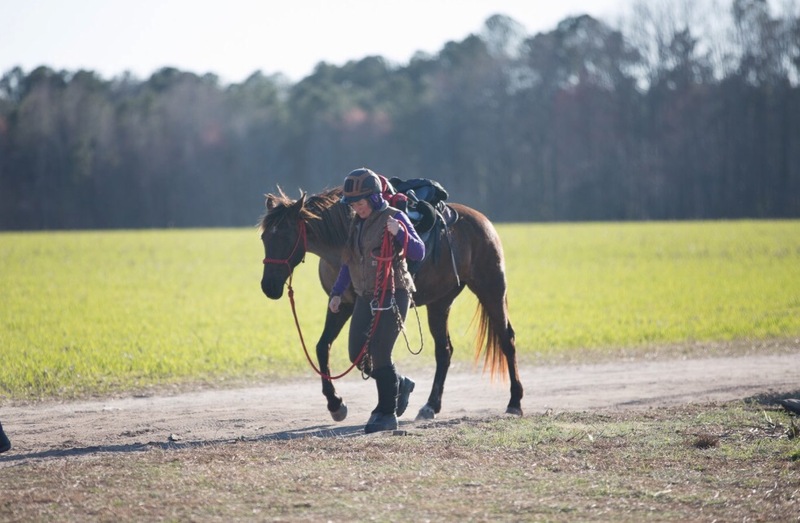 It took a few miles to relax into her job and we fell into a more controlled trot in a large group for a while but about about mile 8 or so we ran out of the starting gate booster, found a pocket mid-pack and began to lag on our own. This is ok. It’s remembering that the day is long and what we’re doing here. It’s like the crash after a sugar high. I now had the job of getting her re-motivated instead of slowed down. We kept motivated into the mile 12 turn around where there was water and hay and found Ricky Stone there with Ziggy. My main goals for this ride after reading some mistakes of other early season riders was rump rug to keep her hips warmed up and lots of electrolytes even though it seemed cold and sweating is minimal. I had begun the ride with my rump rug for the first time ever (breaking rule #1 of the good endurance rider never to try any new tack or rider clothes on ride day!!) thankfully it was a small thing and she didn’t even notice it. Except getting used to how it would sometimes shift to one side and how to tie it back up- I didn’t lose it and no troubles with it. Here at the turn around half way through the first loop I got off and encouraged her to eat as much hay as she wanted and hopefully drink. My first electrolyte was here and I electrolyted at each of the 2 holds as well. I was glad that Ricky also wanted to give Ziggy some time to eat and drink and they waited for us. 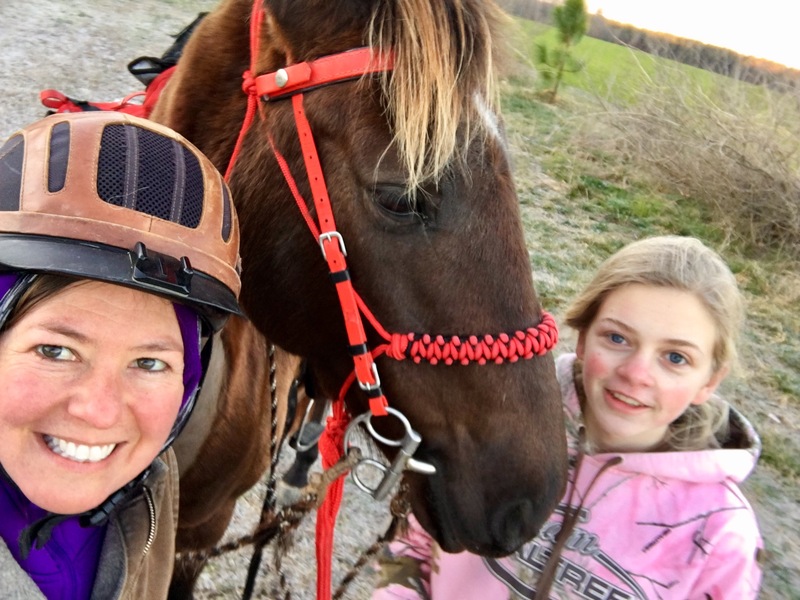 We rode together the rest of the day- two good bay mares in red tack until we joined Elyse not long after… a third bay mare but hers in lovely blue. The trails were really nice footing as promised. Not a rock in sight, sand but not deep for the most part. 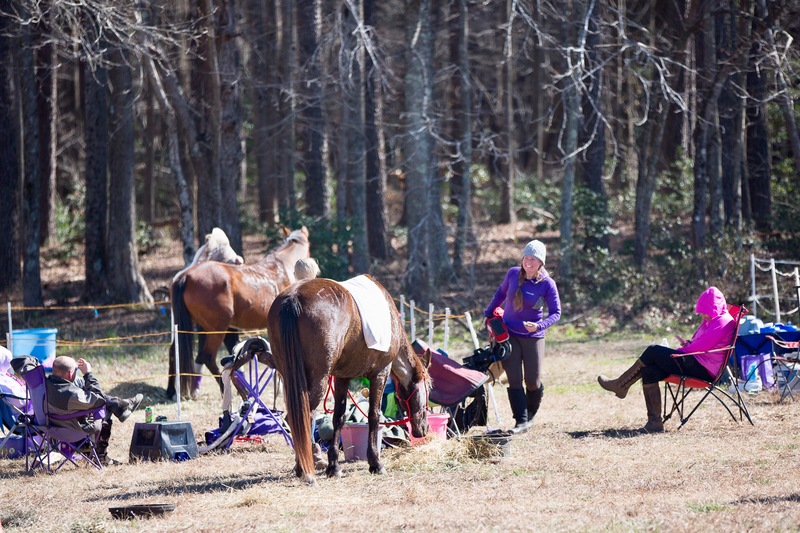 We hardly walked and after mile 12 all horses were settled in for the long haul and relaxed and forward. The ride was smooth for all of us. 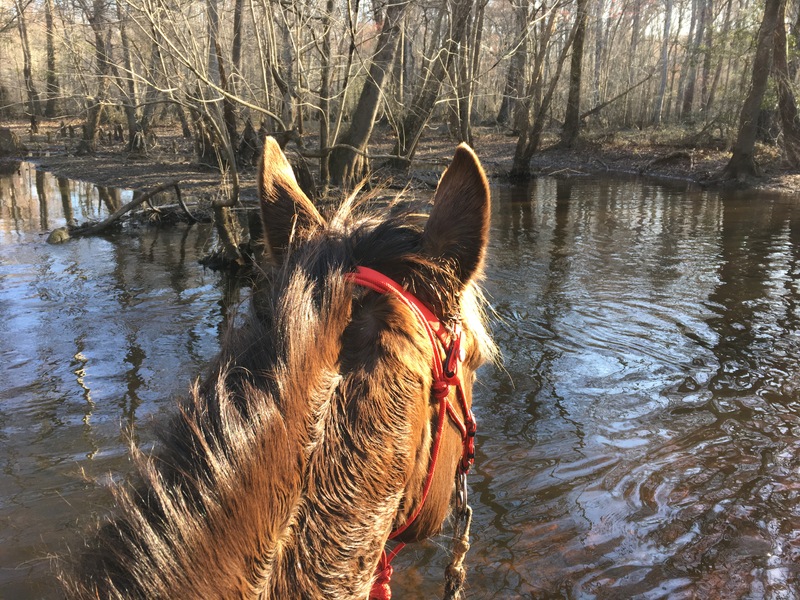 Lots of water along the trail and all the horses seemed to prefer drinking from the shallow mud puddles than the actual clear clean crossings we went through. 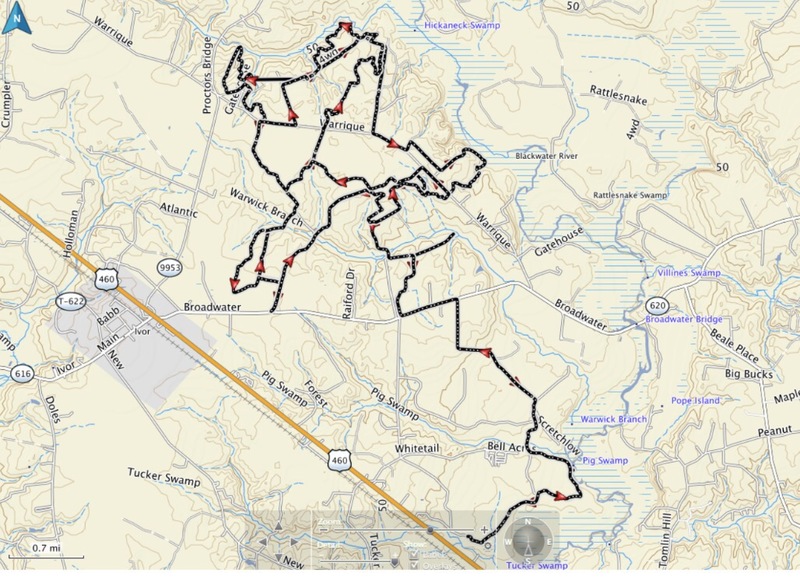 One issue I was concerned about was how the finite amount of trail was turned into a 50 mile course. #1 in camp vet checks mean going BACK out which she always thinks is stupid. In this case to run very similar trail (even more stupid to a horse?). #2 getting lost. I’ve been lucky enough not to be that rider who goes 5 miles off trail and either finishes last doing 60 miles instead of 50… or pulling out due to not having the time to finish after a detour. Here with colored ribbons and shared trail sections I thought my chances of wrong turns wer high. And there would be hoof tracks everywhere anyway- so no help there! Turns out that similar trails ended up good for Khaleesi. Loop 2 was a repeat of loop 1 without an out and back extension- so though at first heading back out was not her first choice, once she got going it was like ‘ok, I know this road…’ and when we didn’t turn to add the 12 miles but kept on toward camp they got a burst of happy energy. The second loop was pretty successful due to its familiarity! Also the trails were so well marked with pie plate X’s anywhere you might have made a wrong turn that we did not get lost (we missed a turn but that was minimal and the lack of marking made it pretty obvious). 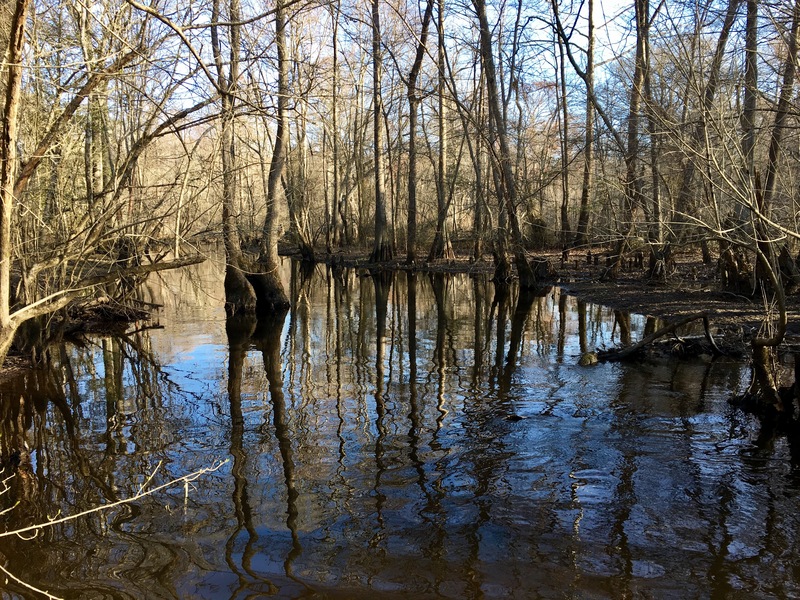 The ride was a mixture of the edge between farm fields and swamp woods and new single track trail built into the woods snaking through trees which is our specialty. 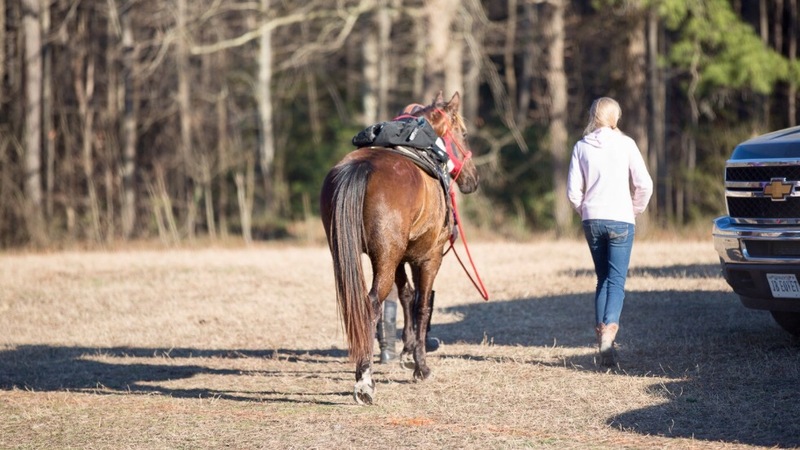 As we got our rhythm Elyse’s horse took lead on the field sections as she loved to canter on and we got sent into the single tracks first where Khaleesi was all business cutting her way around and through like a pro. 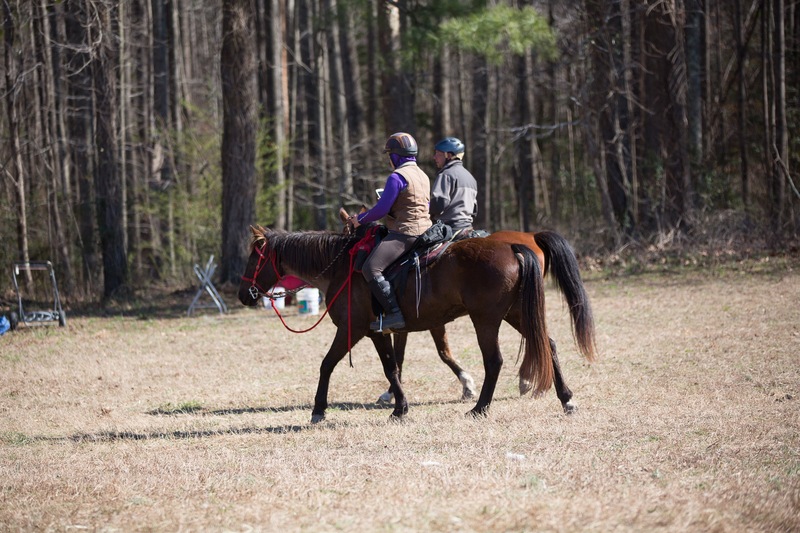 One section was not so easy to follow the ground and you really had to watch for the ribbons and I swear that mare started looking for them on her own as we trotted through the woods. That was fun for both of us. I think she gets bored with the open field running. All the vet checks went well. No gait/lameness issues. 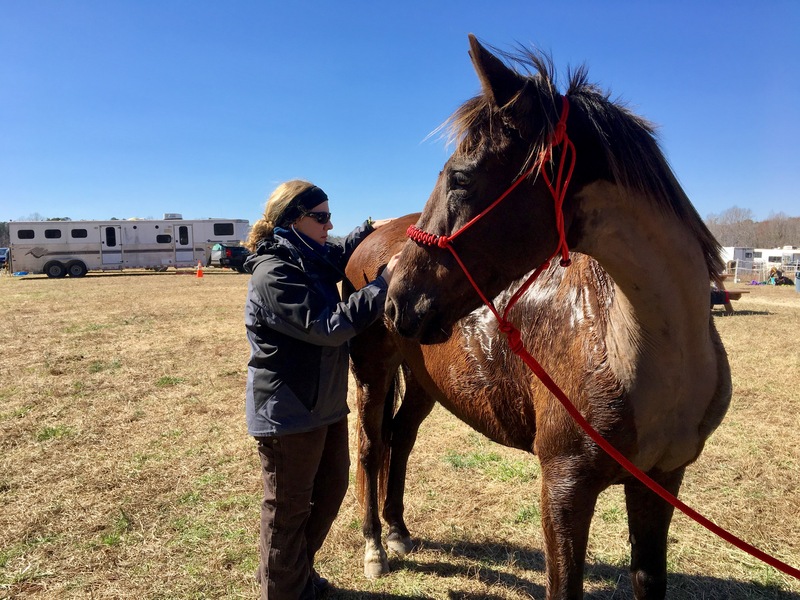 After the second loop – we’d gone pretty quick and not stopped long for hay at one of the spotter points- she had low gut sounds and the vet held our card. As she’s been voraciously trying to eat everything in the vet line I was confident she’d eat the entire hold, was indeed doing well and we’d be good to go (which was all true). 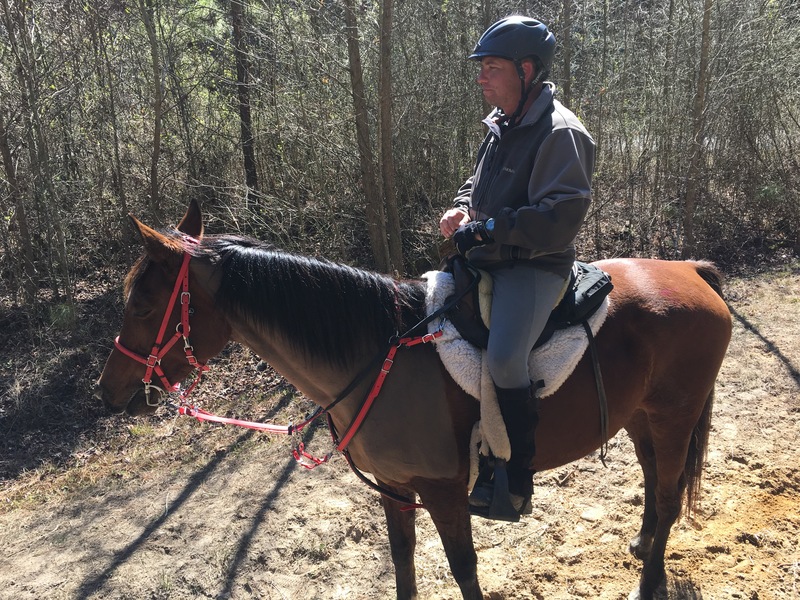 Besides the fact that we were moving along and not eating a lot, Lynne told me that excessive cantering quiets down their guts and gave me some ideas to help with that. It’s not an issue we have much here in the mountains. I rode the entire day with a heart monitor and she never rose above 150bpm. Not even in long canter stretches. We generally stayed between 110-130 if we were moving and she dropped like a stone when we stopped. Cool temps and no hills made for those details. Never an issue dropping right away for the vet checks and it was cool enough that tack on was allowed which we did the first check. By the second check it was approaching 50 degrees and I thought she’d enjoy a break from the saddle. 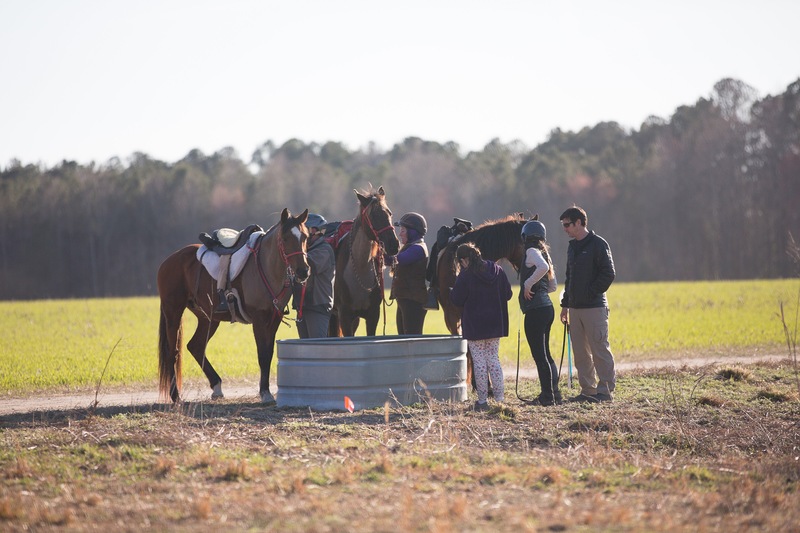 I was surprised we kept such a nice pace up and though all the horses hit that lull around mile 38 where they all seemed tired and we let them walk and eat a little to refuel- once the fuel hit we were strong and solid again. The last ten miles went back up at good strong pace and we cantered albeit a much more controlled canter than the start- into the finish line. Official ride clock time put us at 7hours 45 minutes tied for 14th place. We pulled into camp just ahead of 4:30 and thankfully still warm(ish) and light. You wouldn’t believe how lame this horse was just over a week ago!! Jaime has done an amazing job with her- she looks great!! Khaleesi looked the best she has after a 50 to date. Sure, this is probably in most ways the ‘easiest’ 50 we’ve done but I will also aretuibite it to learning the lesson of REST. she hadn’t been ridden in 15 days before this ride except one 2 mile test-leg stretch where we only walked to be sure the shoe was ok.
She wasn’t stiff, walking nicely, good life in her eyes, hungry, happy even. She could have done another loop. You did your job well…. that 100 might be sooner than you think for her! Me on the other hand… the constant trotting wore me out! I just am not used to it up in the mountains. And as the day wore on she began to find that big fast trot I hadn’t seen before- she started the ride offering more cantering even while others were trotting. 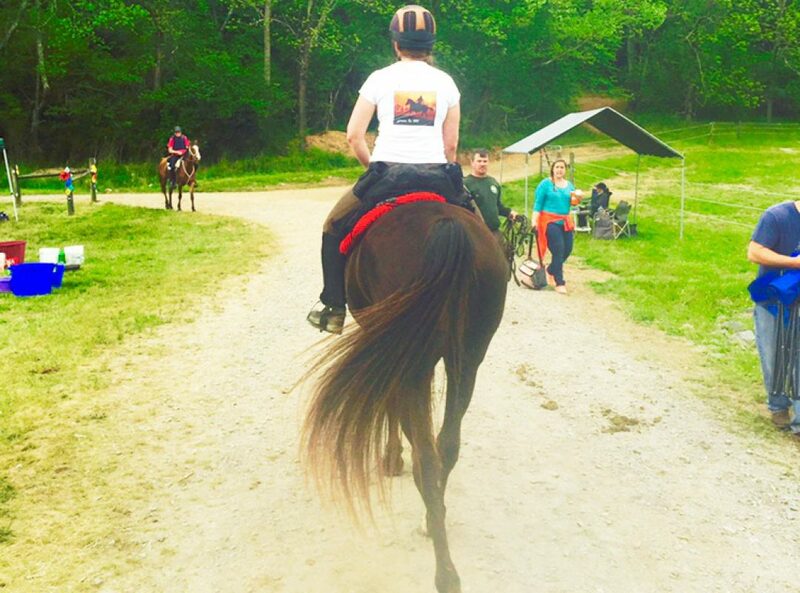 By the end of the day Chianti was cantering and Khaleesi was trotting at speed. Be careful what you wish for- I would have loved to sit that lovely canter at that point in the day. 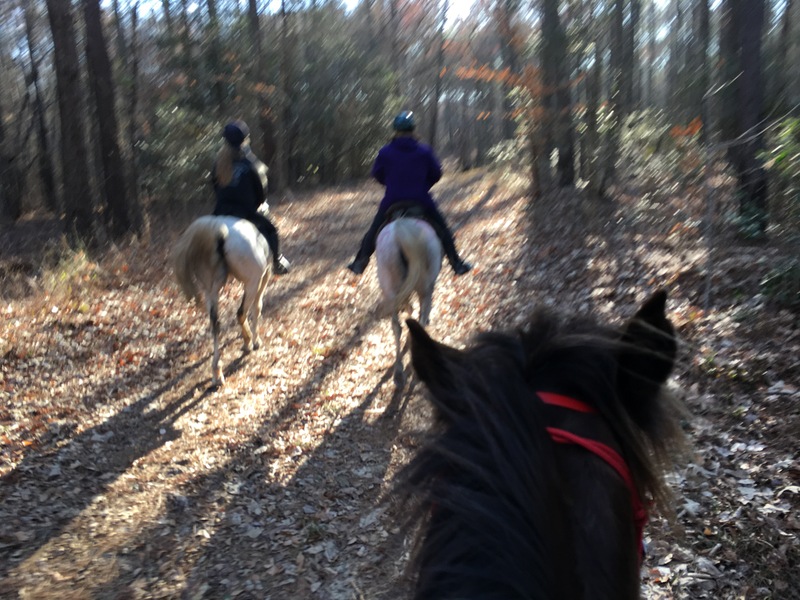 50 miles of trotting though gave me a lot of time to work on my riding. Balance and diagonal changes especially. I believe my balance is improving a lot especially working with Noel T. at the gym to strengthen evenly and work on not havening a weak side has made a difference. However the left diagonal is still not as good and as the day wore on and we both got a little tired when I’d switch to it she would fuss at me, flip her ears back to me and try to ask me what I’m doing?! Sometimes she’d toss me back to the right, sometimes she’d pick me up into a canter. Our decent finish time and the fact that she looked so good were the basis for Iva and I deciding to pack it in and go home. One more sub-zero night with an early morning pack up didn’t sound nearly as good as a hot tub and bourbon drink before climbing into my warm bed. Yuck! That tastes like crushed up sweet tarts! You just made the same face Khaleesi does when you electrolyte her! We got a good laugh. The energy drink must have helped because I was completely awake as I pulled into the barn at 11:30, Khaleesi dragged me to the field and cantered around bossing the herd again looking sound and happy. 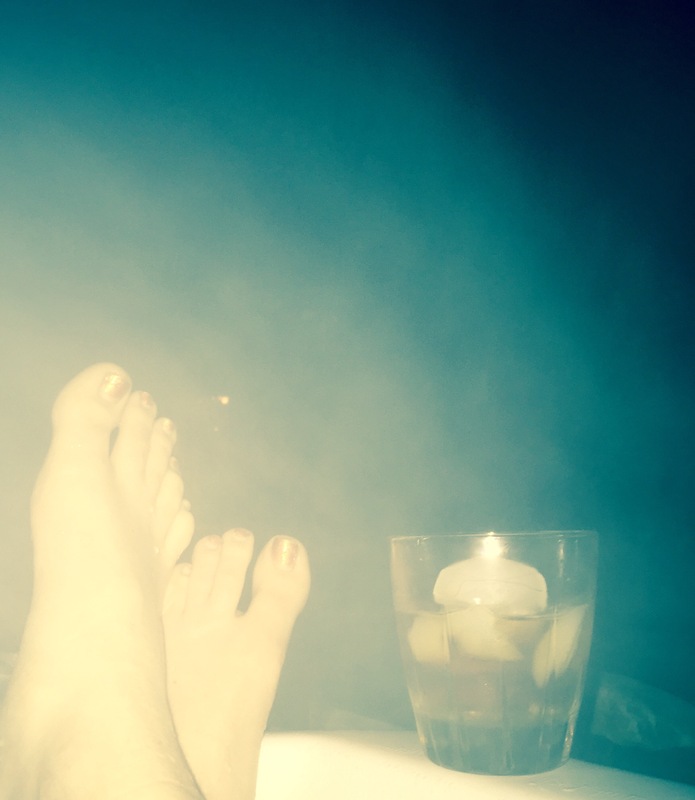 As predicted I enjoyed the hot tub and bourbon before sleeping soundly in my own warm bed. Next stop the No Frills. I’ve been waiting for this post to see how the ride went! I saw when the hand-written results were posted that you’d completed. CONGRATS!!! This ride sounds like a nice one, and I love you think to take pictures while you’re out on trail (why can’t I ever remember?!). She looks great. How long until the next ride? Great seeing you there! Your mare looked great all the times I saw her! Congrats on the completion.